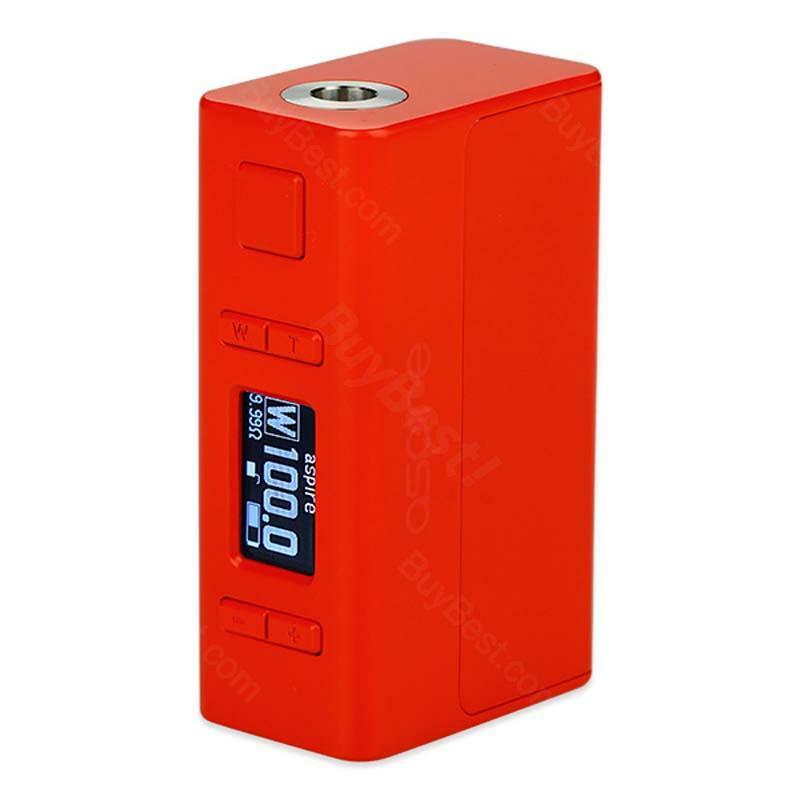 Aspire NX100 MOD, as a skifully designed 26650 box mod with ultra-easy battery installation, is not only compatible with 18650 batteries but also with 18650 batteries with an adaoter sleeve included. Here comes this Aspire NX100 MOD is a skilfully designed 26650 box mod with ultra-easy battery installation. It’s not only compatible with 18650 batteries but also with 18650 batteries with an adapter sleeve included. It can reach up to 100W output max if you use 2 pieces of 26650 batteries, however, when powered by a 18650 battery, the max wattage output couldn't exceed 75W. NX100 box mod supports VW, TC(Ti/Ni/SS) and TCR Modes. This TC Mod by Aspire is featuring large 0.96-inch TFT Screen display, customize firing button profiles as well as firmware upgradable. A low-profile but powerful e-cig mod that you deserve. • It doesn't come with battery. You can buy 26650 battery or 18650 battery separately. • When powered by a 18650 battery, the max wattage output couldn't exceed 75W. 100Wnx100 tc MOD has a powerful storage capacity of the battery, so its cruising ability is quite well. Die Verpackung in der sie geliefert wird macht einen edlen Eindruck, würde Aspire NX100 wieder kaufen.